Tucked on a bend of the Tallebudgera River this charming Queenslander homestead is a hidden sanctuary just minutes from Gold Coast beaches. Formerly a dairy farm, Bend of the River has been our family holiday home for over 40 years. Every school holidays we eagerly looked forward to spending time here – waking to the birds, horse riding, swimming in the surf, bushwalking, collecting eggs, growing and cooking fresh vegetables. 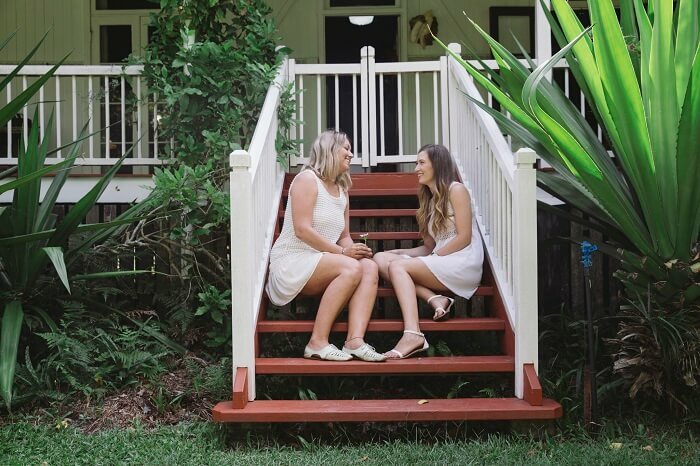 Now Bend Of The River is available for you to enjoy too for a unique holiday retreat or as the perfect outdoor venue for outdoor events on the Gold Coast. Arrive to a freshly baked cake and our own special complimentary continental breakfast. Wake up to the sound of the kookaburras, collect some free range-eggs, play with the peacocks, discover our koalas, unwind in a hammock, taste rare tropical fruit, cook with a view of the mountains, sip a cocktail on the veranda and take in the sunset. 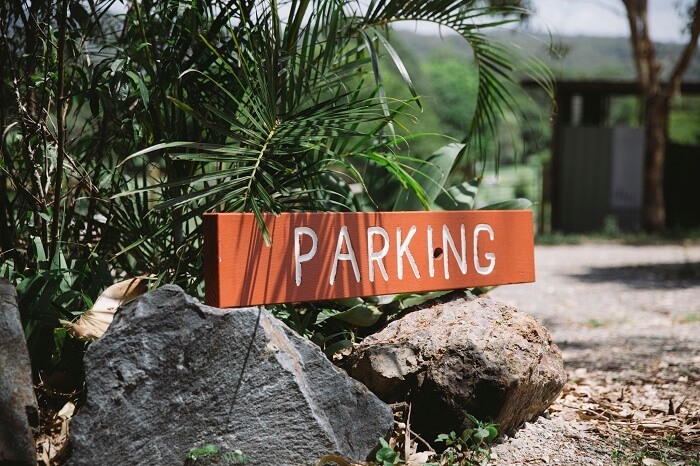 Browse the shops at Burleigh Heads, stroll along the beach, dive into the Currumbin surf, treat yourself to a luxurious onsite massage or enjoy a game of golf next door. Come and get away from it all on the Gold Coast. We promise you won’t want to leave. Bend of the River was originally a thriving dairy farm, the original classic ‘Queenslander' homestead being built around 1900. In 1971 the property, by then almost devoid of trees and in much need of some tender loving care, was acquired by its current owners - The Rogers Family - that's us. 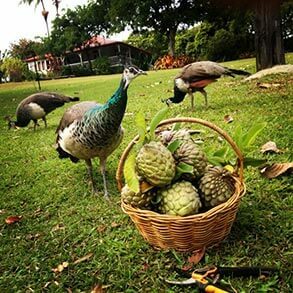 After extensively renovating and refurbishing the homestead we began planting exotic tropical fruits and attracting domestic and native birds to the property. Forty years on, Bend of the River is now a delightful sanctuary where guests enjoy old-world charm with modern appointments and conveniences. Fifteen minutes from the Gold Coast International Airport at Coolangatta (taxi fare $35 approx.) and to the train station at Varsity Lakes (which goes direct to Brisbane International Airport).